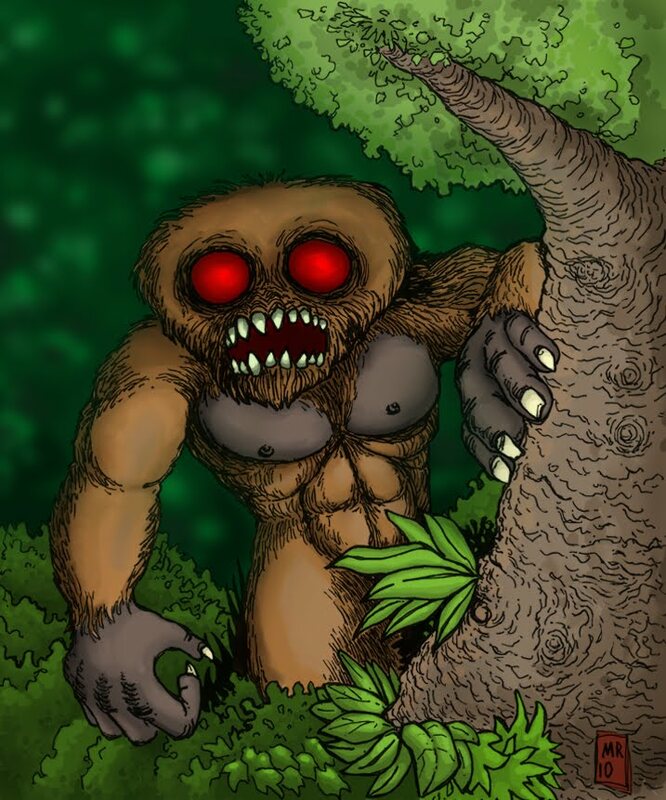 The Missouri Monster (or Momo) is a bipedal cryptid similar to Bigfoot or the Yeti. 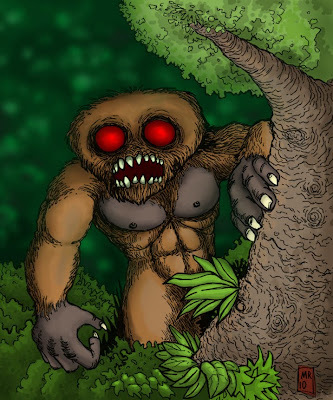 The creature is described as between 5-7 feet tall, with a large pumpkin-shaped head, no visible neck, and large glowing eyes, covered by long hair. It extrudes a very foul odor.